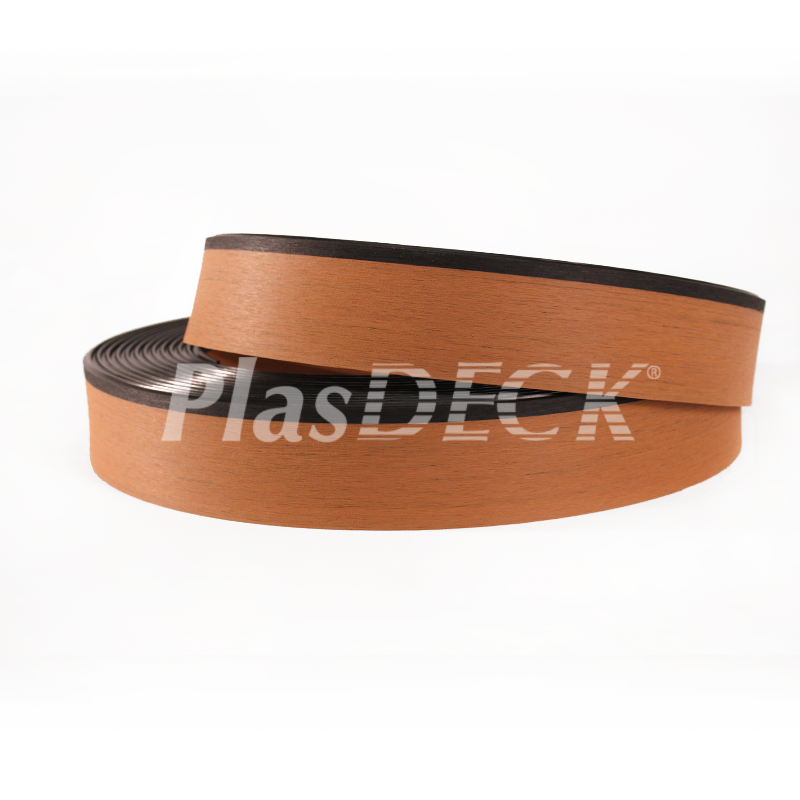 E-521: This deck material has shiplap edges for ease of use and was designed with the Do-It-Yourselfer in mind. The shiplap edges allow each plank to fit securely next to its neighbor, without gaps. Each piece is a single plank, and this is used mainly where the material needs to curve laterally, especially towards the bow. It’s easier to make a significant curve with the single plank material than it is with the wider 3-plank material. Each piece is 2” wide and 32’ long (5.3 square feet, .5 square meters). 7 lbs.